Reward: Island Replica Sentinel (Golem) is unlocked for purchase in the Home Store (not available in Online Store). (They say the new island is going to be the perfect place to build HOUSEBOATS. How exciting! Imagine your Sim relaxing on the deck of a luxury houseboat, soaking up the sun, not a care in the world. You have to get there before someone else buys them all! Find the island on a World Globe. The coordinates are +34° 59' 20.00", -106° 36' 52". 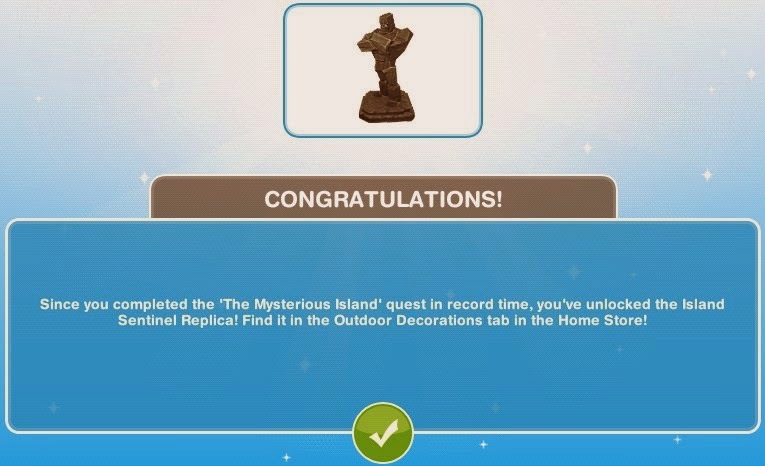 (Well done, your Sim now has the exact location of this mysterious island. It’s just across the water North of Sim Town. If only the Party Boat could fit under the Suspension Bridge! How did the Party Boat even get there anyway? (Your Sim just downloaded the schematics to build the almost-iconic Redden Gate Bridge. It’s just like the golden version, only without the copyright. Perfect! (All that did was raise more questions and give your Sim a headache! Ow! Give your Sim some relief with Herbal Tea. (Wow, perfect timing! The bridge is ready to be built!! What are you waiting for? 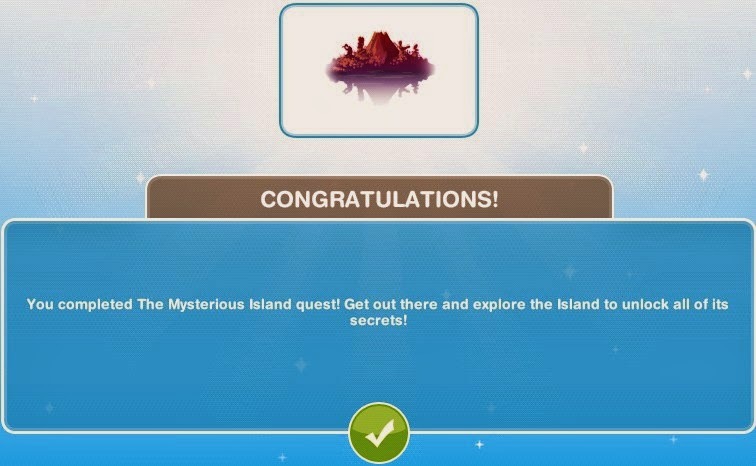 Build the Bridge to the Mysterious Island! You can find it on the coast of Sim Town on your town map. You completed The Mysterious Island quest! 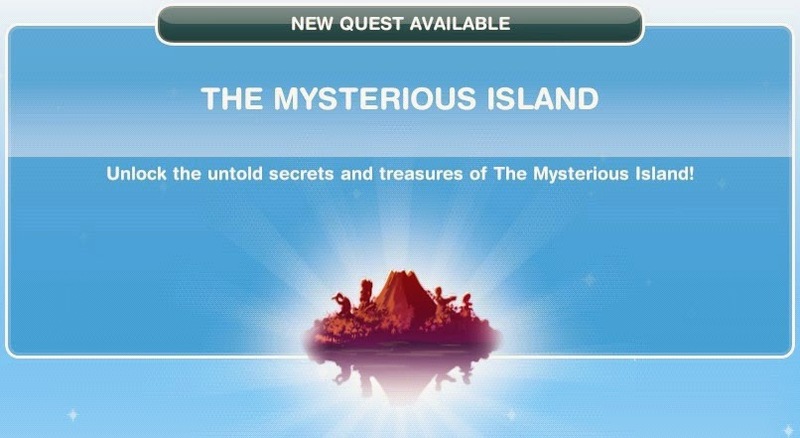 Get out there and explore the Island to unlock all of its secrets!